This fantastic looking little clock looks equally at home in your office, bedroom or living room. As well as telling you the time it conceals a HD camera with IR night vision, a motion activated video recorder, and a wifi IP camera. This fantastic looking little clock looks equally at home in your office, bedroom or living room. 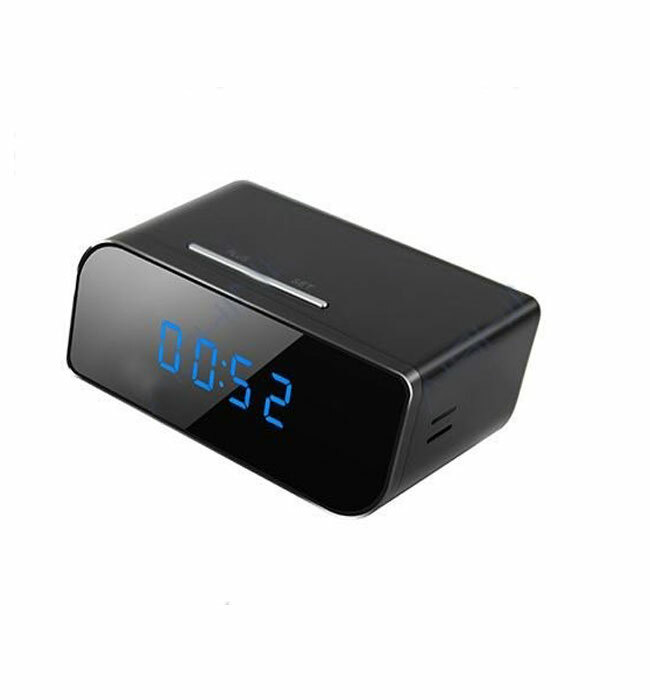 As well as telling you the time it conceals a hidden HD camera with IR night vision, a motion activated video recorder, and a wifi IP camera all concealed in this smart clock. Once set up you can listen, view and even talk back from anywhere in the world as long as you have a internet connection. This camera is extremely simple to set up and no networking knowledge is required.